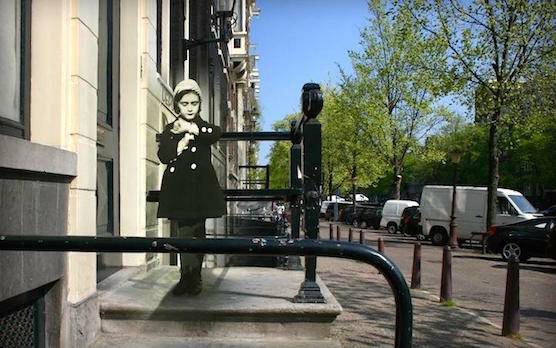 Amsterdam’s Anne Frank House attracts almost 1 million visitors per year. With its reconstruction of Anne’s grim bedroom and her real diary – sitting alone in its glass case, filled with optimistic writing tempered by quiet melancholy – it’s really a impressive experience. The Anne Frank House is the place where Anne Frank went into hiding during World War II and where she wrote her diary. The Anne Frank House is a hidden annex in an Amsterdam canal house that two Jewish families used to hide from persecution by the Nazis in July of 1942 through to the fall of 1944. A very popular place for many, it is also the place where Anne Frank. She was only 15 at the time of her death wrote her famous diary. 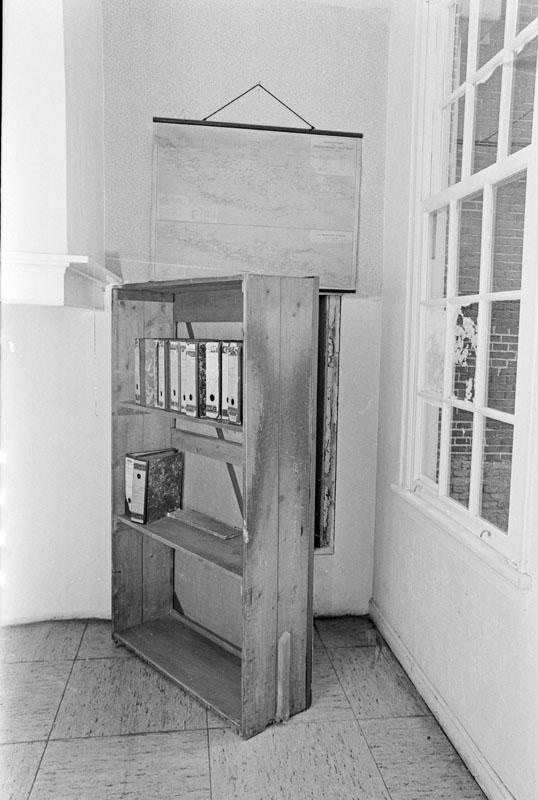 The doorway of the annex where they hide was concealed behind a moveable bookcase constructed especially for the purpose of hiding the annex doorway. Although the rooms are now empty, they still carry the atmosphere of the 1940s with the original diary and oher items on display including historical documents, photographs, film images and the original objects that’s belonged to those who were in hiding in the annex. 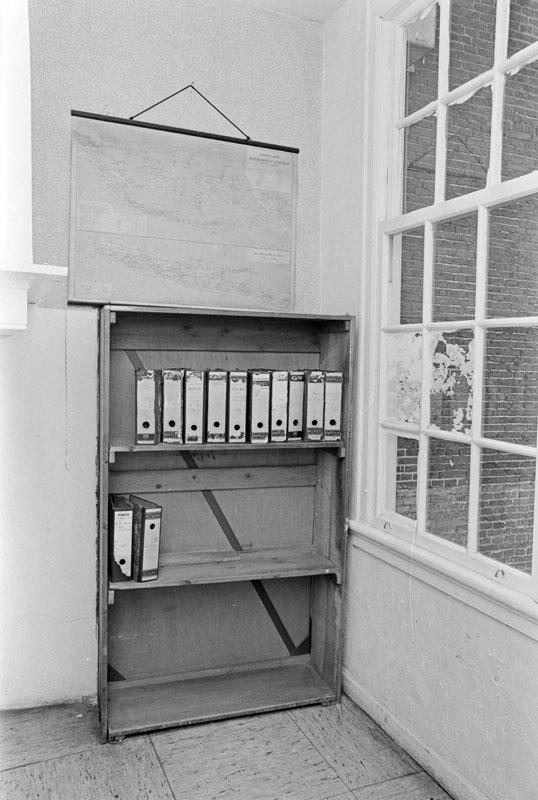 At Prinsengracht 267, located 150 meters (500 feet) from the Westerkerk, is the house where Anne Frank and her family were in hiding during World War II. Hoping to escape deportation the the concentration camps, they created a construction that made use of the typical shape of the merchant houses in Amsterdam, which was not very broad but extremely. Actually consisting of two houses, the fron and the back part are often separated by a small coutryard, and only connected by a small corridor. When the Frank family decided to go into hiding in the back part of the house, they painted the windows at the rear end of the front white and covered up the entrance with a bookcase. When standing in the front house, it was impossible to see that there was another house behind it. The diary which Anne Frank kept describes in detail the family’s life underground. Tragically, their hiding place was discovered after two years, and the family was deported. 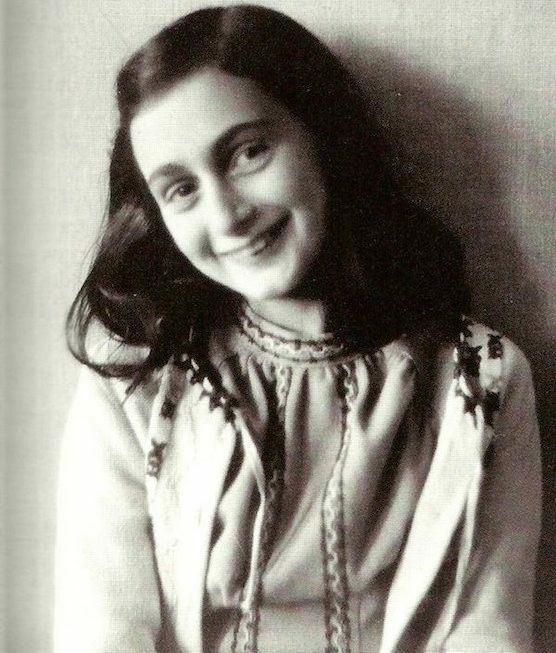 Anne died in March 1945 in the concentration camp of Bergen-Belsen. Only Anne’s father survived. The Anne Frank House is an absolute must-see. It’s very impressive! Tip: Purchase you entrance tickets online. 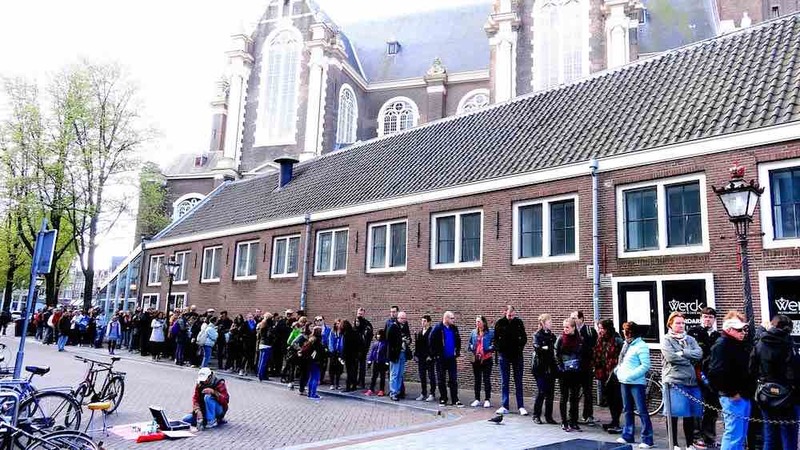 The Anne Frank House is very popular, it’s one of the most popular attractions of the Netherlands and there’s always a long line. Always! Therefor, we would definitely recommend to buy your tickets online. Preferably before you start your visit to Amsterdam. 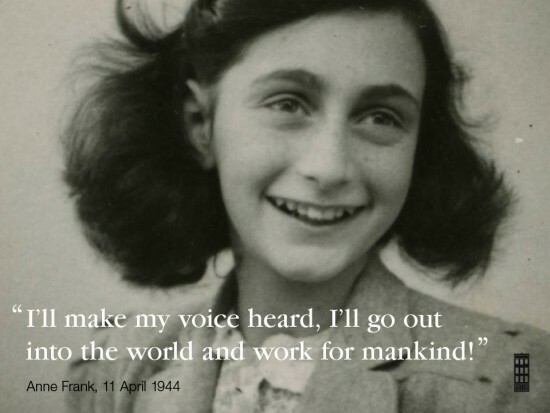 You can purchase tickets for the Anne Frank House on their website: CLICK HERE! Resellers of our entrance tickets are active on the internet. They buy up entrance tickets online, and attempt to sell them at a large profit, often for double the price. This is not permitted. Do not buy tickets from these organisations; you may be refused entry. Take tram 13 or 17. Get on at Westermarkt, get off at Dam Square. Taxi. A taxi ride should cost not more than 7.50 Euros. Bicycle. Do as the locals do. Go by bike. It’s fun, cheap and the fastest way to get around. You can rent them anywhere in town. Visit it after 6pm to avoid the biggest crowds. Lines can easily be an hour plus wait otherwise. Buying entrance tickets in advance allows you to skip the line entirely and enter the Anne Frank House via a separate door (on the left of the main entrance). Would you like to go on a Red Light District Tour after your visit to the Anne Frank House? Our tours start from Dam Square. CLICK HERE to for more information and reservations. Others who read this article also liked this article about the shooting on Dam Square during 7th of May in 1945.